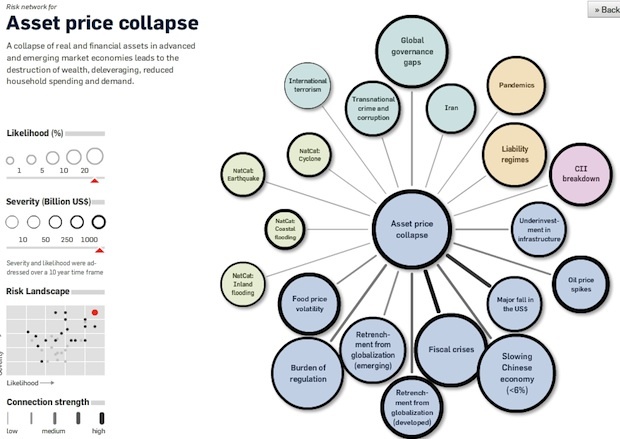 Infographic of the Day: What Crises Could Crush Us in 2010? Now, before you start stockpiling canned food and batteries, remember that none of these risks has been assigned a probability greater than 20%. That should be comforting, right? Right? Oh, hell: Get to the Sam’s Club NOW.